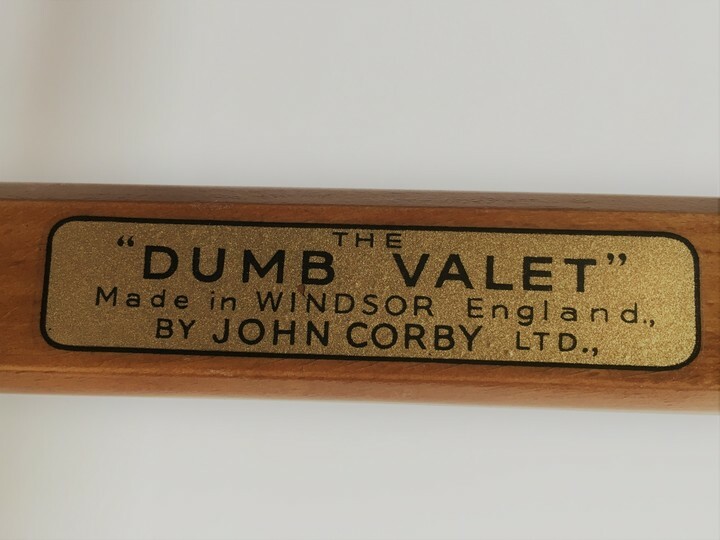 Better known for manufacturing trouser presses, John Corby Limited was established in 1930 as a manufacturer of valet stands. 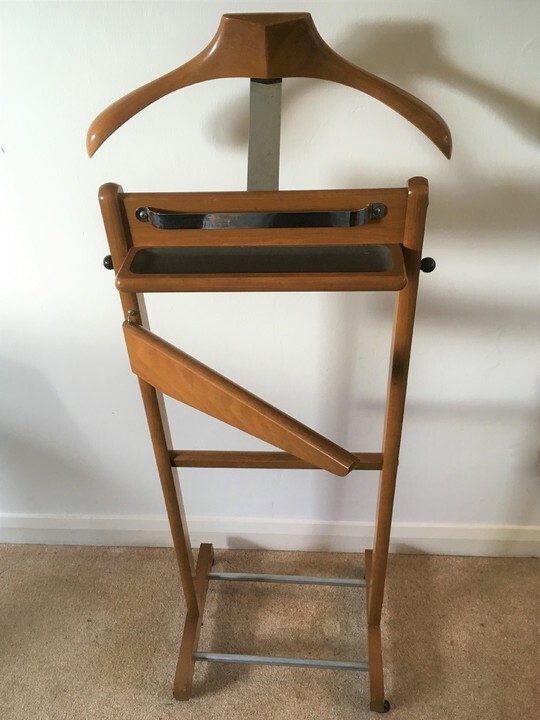 This classic Dumb Valet dates from the 1950's/1960's and the hanger and stand is made in beech with chrome fittings. 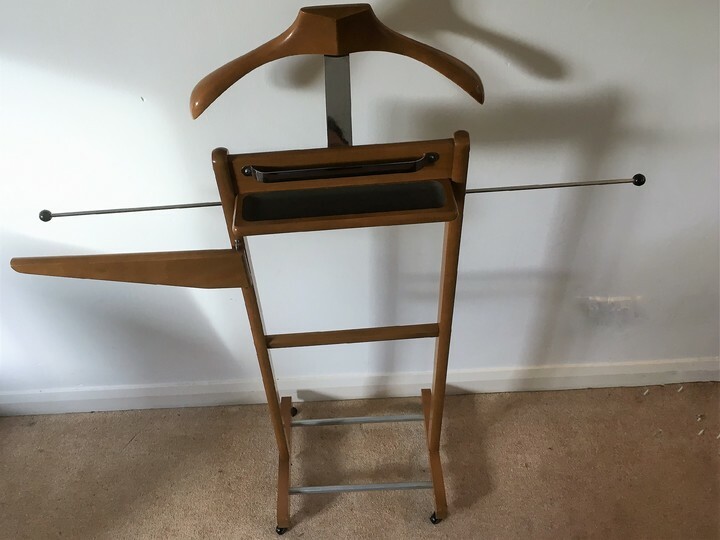 Perfect to hang your jacket, trousers, dress overnight to air - or to prepare fresh clothes for a new day.